With forested ridges, wild and open coastal bluffs, and deserted beaches, Point Reyes National Seashore is an unforgettable place to ramble. John McKinney, aka The Trailmaster, shares come of California’s premiere coastal trails in his newly updated pocket guide HIKE Point Reyes: Best Day Hikes in Point Reyes National Seashore. The guide is a bestseller in the Trailmaster Pocket Guide Series, created especially for hikers and designed to fit perfectly in the hiker’s pocket or pack. “The coastal trails in Point Reyes National Seashore are among the most magnificent in California,” declares the author. McKinney should know. 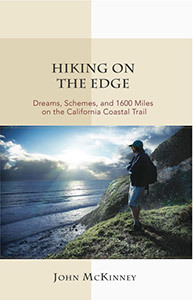 He’s hiked the entire length of the California coast (and written a book about his experience: Hiking on the Edge: Dreams, Schemes, and 1600 Miles on the California Coastal Trail). Meander Bear Valley, Tomales Point and Drakes Estero. Enjoy grand views from Mt. Wittenberg, Inverness Ridge & Pt. Reyes Lighthouse. Observe tule elk, elephant seals and a remarkable variety of birds. HIKE Point Reyes (paperback, $9.95), and other Trailmaster Pocket Guides, including HIKE San Francisco and HIKE the East Bay are available from REI and select retailers, Amazon and TheTrailmaster.com. 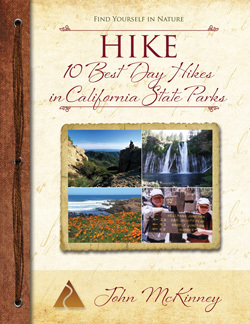 For more information about HIKE Point Reyes, other books by John McKinney or interview requests, contact Cheri@Thetrailmaster.com or call 805-845-7102. 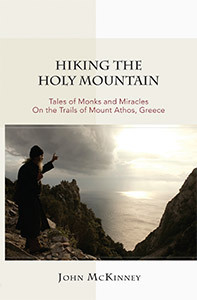 About the Author John McKinney, aka The Trailmaster, is the author of 30 books and a thousand articles about hiking. A passionate advocate for hiking and our need to reconnect with nature, John shares his expertise on radio, TV, online, and as a public speaker.